Food Matters is a hard hitting, fast paced look at our current state of health. Despite the billions of dollars of funding and research into new so-called cures we continue to suffer from a raft of chronic ills and every day maladies. Patching up an over-toxic and overindulgent population with a host of toxic therapies and nutrient sparse foods is definitely not helping the situation. Add on the high demands made upon our already over-burdened health care system and it’s litte wonder that doctors and health care practitioners have less and less time to teach people about how to eat and live well, precisely the information that could prevent people from being there in the first place. The film sets about uncovering the trillion dollar worldwide ‘sickness industry’ and points out that not every problem requires costly, major medical attention and reveals many alternative therapies that can be more effective, more economical and less harmful than conventional medical treatments. Find out what works, what doesn't and what’s killing you. Becoming informed about the choices you have for you and your family’s health could save your life. Sometimes I feel that it would be infinitely easier to pretend that our world’s healthcare problems do not exist. It would be bliss to trust that our food industry operates with the public’s best interests at heart and that the FDA and the pharmaceutical industry are committed to human health. I suspect however that you already realize that this is currently a fairy tale dream. Or perhaps you’re like many others and understandably feel confronted by criticism of these paradigms. 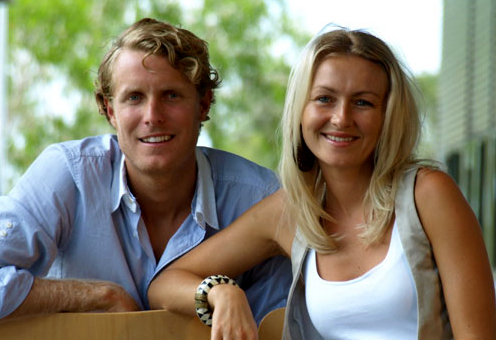 Whatever the case may be, James Colquhoun and Laurentine ten Bosch have learnt the hard way. Experts such as Charlotte Gerson explain that the human body is self-curative when it functions in good health. She is adamant that “a normal healthy body can not and will not develop cancer or any other illness for that matter”. Conversely, when our innate healing systems become damaged by an un-natural diet and a toxic environment, disease manifests. Whilst drugs have their place in medical emergencies, chronic use merely masks the symptoms of disease and impedes profound healing. Click here to watch the trailer to the movie and discover for yourself why this film managed to gain such strong momentum worldwide and sparked a revolution in natural healthcare solutions.